Today’s main news: Misys, D+H team up to launch Finastra. Fundrise intros first real estate robo-advisor. UK businesses find it harder to get a loan. Singapore Life gets insurance license. Faircent offers online lenders ‘What-If’ scenario simulations. Today’s main analysis: Does anyone remember how to make a subprime mortgage? The most up-to-date numbers for Prosper, RateSetter. Today’s thought-provoking articles: Bank branches close in droves. London still leads Europe in fintech investment. Cadre raises $65M in Series C round. Envestnet/Yodlee unveils personal financial wellness solution. The first in-depth report on single-family real estate investors. CPAs: Bring more services to clients with fintech. Marketplace Lending Association lobbies Washington. FINRA establishes fintech innovation outreach initiative. Online Lending Policy Institute names board of governors. DiversyFund announces new luxury investment. Congressional testimony on fintech innovation. 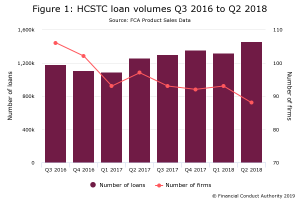 UK businesses finding it harder to get a loan. Singapore Life gets insurance license. Sovereign wealth funds ramp up private debt investment. Australia, Hong Kong seal fintech cooperation agreement. Online money lenders can simulate ‘what-if’ scenarios on Faircent. Rupaiya Exchange receives best P2P lending in India award. Beehive, Dubai’s SME financial arm sign MOU. Today Misys and D+H have joined forces to create a diversified global financial software provider, unmatched in terms of depth and breadth of solutions. Operating under the new company name Finastra (www.finastra.com), the combination will create the third largest financial services technology company in the world. The company has approximately 10,000 employees and over 9,000 customers across 130 countries, including 48 of the top 50 banks globally. This follows the acquisition of D+H by Vista Equity Partners, which already owns Misys, creating a merger of two highly complementary financial technology providers. Finastra will be led by Nadeem Syed in the role of Chief Executive Officer. Mr. Syed was previously CEO of Misys and has over 27 years of experience leading global technology companies through transformation and growth. The company has U.S. $2.1 billion* in revenues and has offices in 42 countries around the world. It will be headquartered in London, UK, maintaining North American headquarters in Toronto, Canada. Finastra offers the broadest set of retail banking, transaction banking, lending, and treasury and capital markets software capabilities available in the world. The company’s open architecture and approach enable financial institutions to harness the power of software ecosystems and will be delivered on premises, hosted or via the cloud. With the increased scale and geographic reach, Finastra will be able to serve customers better, regardless of their size or geographic location – from global banks, to community banks, credit unions, and corporations. Using the company’s secure and reliable solutions, customers will be empowered to accelerate growth, optimize cost, mitigate risk and continually evolve to deliver a superior customer experience, both now and in the future. Having long pursued a progressive vision of innovation within both businesses, Finastra will strive to further unlock the potential of people and businesses by executing the product strategy of ‘Protect, Extend and Innovate’. This includes protecting our customers’ investments in all of our solutions; extending the value of our solutions by integrating new products and services; and innovating to create the best-in-class solutions. Finastra will work in partnership to help customers transform their business, and become more agile, innovative, and resilient to better meet their evolving needs. There may be no physical institution as historically revered as a bank. Nice try. Banks these days are hardly elegant or imposing. Most have shrunk in size thanks to rising costs of real estate, and many have disappeared entirely, according to data from the Federal Deposit Insurance Corporation. Chase reduced its branch presence by 190 locations, a 3.4 percent decline, from 2012 to 2016. Wells Fargo closed 98 branches, a 1.6 percent decline in the same period. Its peers are even more aggressive. Bank of America closed 243 branches (16 percent) in that period and Citi closed 302 (28.5 percent). Branches are consolidating locations with lower servicing volume, opening in higher growth areas and renovating existing branches and ATMs. More importantly, they’re evolving into more compact, digitally oriented spaces that incorporate new technology and help branch employees focus on improving the customer experience. While those in the banking industry feel there will always be brick-and-mortar branches, in large part because the business of banking is grounded in trust, and in knowing the person with whom you’re working, the move to digital technologies is expected to grow exponentially. Fundrise, one of the leading online investment platforms for real estate, has launched the “2.0” version of their platform. Fundrise has created a Robo-Advisor focused on real estate thus providing an investing tool to match individual investor needs. The Fundrise Robo-advisor enables individual investors to create a highly diversified real estate portfolio accessing Fundrise’s growing number of eREIT’s. The service provides an estimate based on submitted variables to extrapolate potential returns. Fundrise estimates users will save up to 40% on fees versus traditional services. Brokers willing to learn the lost art of making risky mortgages are in demand again. In the first quarter, nearly a decade after the start of the housing crisis, lenders originated just $6 billion in loans to borrowers with less than stellar credit scores or who are using alternative documentation to prove income, a category now known as “nonprime,” according to Inside Mortgage Finance. In all of 2016, they originated $22 billion in loans, according to Inside Mortgage Finance. Back in 2005, at the peak for such loans, lenders made about $1 trillion of these mortgages. Meanwhile, the volume of loans produced by mortgage brokers dropped to $37 billion in this year’s first quarter, down about 34% from the last three months of 2016. Loans from brokers peaked at around $1.1 trillion in 2003. NEW YORK (AP) — Online lender and financial startup SoFi has taken the first step toward competing with the nation’s biggest banks on their home turf: the checking account. The company, however, will have back-office operations in both Delaware and Salt Lake City, Utah. In its application to the Federal Deposit Insurance Corporation, SoFi plans to fund its new bank subsidiary with $166 million in capital. All your life, you’re told that an education will set you up to fulfill the American dream. But once you graduate, you’re faced with onerous payments that seem to hardly dent the principal. You need a steady job, stat. It’s terrifying to forgo a salary to start something new, let alone invest your assets, when you’re obligated to make monthly payments that can reach thousands of dollars. One startup is helping its users get ahead of their debt and start the new ventures that our economy needs to thrive. SoFi (short for Social Finance) is largely known as the startup that will refinance your student loans, though it aspires to encompass its members’ entire financial lives. Nevertheless, student loans are SoFi’s bread and butter, a reflection of the generation of Millennials saddled with insurmountable-feeling debt. That’s why, in addition to its unemployment support and career coaching, SoFi has an entrepreneurship program. The benefits include six months of loan deferment, mentorship resources such as connections to investors, and networking with other entrepreneur members. Of course, SoFi can’t single-handedly revive American entrepreneurship, not least because the cohorts of accepted entrepreneurs are limited, and the types of businesses that SoFi favors skew toward scalable tech startups rather than conventional small businesses. But student loan relief has a definite impact on the participating SoFi members’ ability to launch companies. We are offering up to 5,000,000 shares of our Class B Common Stock to the public at $5.00 per share. This offering commenced on February 1, 2017 and as of May 30, 2017, we had settled approximately 2,884,129 shares of our Class B Common Stock of the 3,000,000 shares that we had previously qualified for sale. We are including in the offering an additional 2,000,000 shares of our Class B Common Stock to be sold pursuant to this offering circular. Square (NYSE:SQ) has disrupted the mobile payment market, and could still be in its early innings of growth. Over the past year, Square’s stock has more than doubled, thanks to its impressive and better-than-expected growth and optimistic forecast. Over the past year alone, Square’s payment volume increased by 33% to over $13.6 billion, and the company is on the verge of becoming profitable. Plus, Square’s services and subscription revenue more than doubled year-over-year, and has tremendous long-term growth potential. P2P lenders aren’t the only players in the unsecured lending space anymore — some of the biggest names in the industry are getting involved, which could certainly shake things up in the years to come. One in particular I have my eye on is Goldman Sachs (NYSE:GS). Goldman first announced its intention to get into the consumer lending business in 2015, and after a couple of years of development, the company recently launched Marcus (named for Marcus Goldman, one of the bank’s founders), its new lending platform that offers personal loans of up to $30,000. According to a report by TransUnion, nearly 16 million people took out an unsecured loan in 2016, the highest on record. With an average balance of $7,640 and average interest rate of 12%, this translates into a billion-dollar revenue stream if Goldman can build its market share to just 7%. Cadre, an online investment marketplace providing access and insight into institutional quality alternative assets, today announced a $65mm Series C financing round led by Andreessen Horowitz, with additional participation from Jim Breyer of Breyer Capital, Ford Foundation, General Catalyst, Goldman Sachs, Khosla Ventures, and Thrive Capital. Cadre’s existing investors include DST, Founders Fund, SL Green, and others. Envestnet | Yodlee (NYSE: ENV), a data aggregation and data analytics platform powering dynamic, cloud-based innovation for digital financial services, today announced the launch of its Personal Financial Wellness Solution at the Digital Banking Summit. The Envestnet | Yodlee Personal Financial Wellness Solution is a suite of applications and APIs that leverages enriched data and artificial intelligence to move beyond organizing historical financial data, helping financial institutions and fintech developers provide actionable, financial guidance to their customers across a spectrum of devices, user interfaces and platforms. The Envestnet | Yodlee Personal Financial Wellness Solution enables financial institutions and fintech developers to provide actionable tools to help consumers identify their projected OK to Spend balance and easily Save for a Goal. By applying Envestnet | Yodlee’s advanced data intelligence to its enriched transaction data of over 15,000 data sources, financial service providers can derive actionable information from consumers’ financial data in order to measure, guide and improve consumers’ financial health. Core to the Personal Financial Wellness Solution is OK to Spend, which synergizes predictive analytics and user feedback to deliver smart financial forecasting. OK to Spend can be consumed as a financial application or a fully RESTful API framework that enables financial service providers to create forward-looking forecasts that organize and predict recurring income and financial obligations along with personalized notifications for financial events and projected balances. OK to Spend analytics is run across the consumers’ primary spending accounts (cash and credit card) regardless of which financial institution they primarily bank with, in order to provide a holistic view of their finances. Patent-protected machine learning and data analytics enable the OK to Spend algorithms to identify sources of recurring income and accurately predicts future income, accounting for anomalies. Similarly, OK to Spend identifies recurring and forecasted financial obligations, while accounting for fluctuations determined from historic data. The Save for a Goal application allows consumers to easily set and track savings goals. The application facilitates money movement across different accounts at a specific time frequency and allows customers to better track their goals by allowing consumers to allocate multiple goals to a single account, or spread a single goal across multiple cash and investment accounts. Save for a Goal provides visual data and notifications such as progress bars, charts, graphs and alerts, engaging customers with the option to flex and prioritize between goals. The role of the individual and institutional single-family residential investor is highly undervalued and tremendously under-appreciated. About 10 million individuals, businesses and institutions provide secure housing and jobs for millions of average Americans. 67 million souls live in single-family rentals, a million more properties are added each year employing millions of individuals, to buy, renovate, lease and maintain as safe housing for tenants in affordable to luxury markets. Single-family rentals have been discovered as a low-risk passive income revenue source and a growth asset in a balanced portfolio or personal retirement plan. Using Harris Poll, single-family real estate investors were surveyed nationwide to understand why, where, what and how they invest and manage these properties to provide stable housing and realistic returns on their personal and company investments. The report touches several other critical components that shape this market. Key among these are how the single-family real estate investor effects the economy, how investors view their properties (as added rental income or as an intentional business goal), investor decision points, and the investor as a customer,” says Steve Murray, Founder & CEO Real Trends. These days, there are few “typical” CPA firms left. As they seek to diversify, differentiate and grow by offering their clients value added services, firms are engaging in a much wider range of activities. With the rise of a new generation of B2B financial technology companies, or Fintechs, the opportunities for CPA firms to offer new services have never been better. Fintechs are infiltrating every aspect of B2B financial services, and venture investment continues to pour in. Where people used to look to QuickBooks, Oracle and SAP, now there are cloud-based accounting and ERP options like Xero and Freshbooks and NetSuite and Workday. But you probably know about those. What you might not know is that Fintechs are moving into e-invoicing, expense reporting, data sharing and protection, compliance, tax management and fraud control. They’re executing specific parts of the banking value chain better, cheaper and faster, including lending, trade finance, and payments. Some are even considering becoming banks themselves. Fintech solutions solve the whole thing– all types of payments and all the work that goes along with the payments. Companies can make 80 percent or more of their payments electronically, and that saves a lot of resources, especially if you’re a BPO writing hundreds of thousands of checks on behalf of your clients. You could be helping them get a lot more card rebates instead. But what visibility really does is open up more opportunities for CPA or audit or BPO firms down the road. If you’re a BPO, visibility into payments could potentially help you work better with vendors. The more you can help clients automate, the more nimble they are and the more nimble you are. For savings accounts there were a couple of small regional or local banks that had slightly higher rates but no major national banks were higher. If you look at 3-year CDs with a minimum investment of $500 (the Goldman Sachs minimum) I could not find an offering anywhere in the country that came close to matching Goldman’s 1.90% rate. In fact, the second highest rate available anywhere for a $500 3-year CD was 1.65% from Barclays. All sorts of interest groups are flying in this week to nab some time with lawmakers before the July 4 recess. The Marketplace Lending Association, a trade group that represents digital financial and lending startups, is in town this week for its first-ever fly-in, meeting with lawmakers and regulators. “The goal is to bring Washington up to speed on the growth of the sector, as well as the emerging partnerships between the fintech member firms and banks,” according to the group. Its member companies include Lending Club, Prosper, Funding Circle, Avant, Marlette Funding and Affirm. On June 13, 2017, The Financial Industry Regulatory Authority (FINRA) declared the establishment of the Innovation Outreach Initiative, in order to properly assess FinTech‘s industry impact. FINRA’s Innovation Outreach Initiative comes after the launch of its FinTech site that’s dedicated to emergent topics in the field, and literature on blockchain technology and digital investing. The initiative will consist of program elements, such as enhancing FINRA’s processes, timely publication of regulatory technology applications, regional outreach roundtable discussions (comprised of FINRA members and nonmembers), and the creation of a FinTech Industry Committee. The committee will help to assist with ongoing discussions about how FINRA’s programs and rules will intersect with FinTech innovations. The Online Lending Policy Institute (OLPI), a voice for policy analysis, in-depth research, and education for the online lending industry, today announced its Board of Governors, a group of industry experts ranging from academics to lawyers to executives from twelve leading organizations. This newly elected group joins founding members of OLPI: Cross River Bank, Boston University’s Center for Finance, Law & Policy, and RocketLoans. Michael Freedman, General Counsel, BorrowersFirst, Inc.
DiversyFund, Inc., a fast-growing full-service online real estate investment platform, announced the next ground-breaking real estate investment project that their partnership with Roman James Design Build will undertake. DiversyFund and Roman James will be building a new ultra-luxury in Hollywood Hills, one of the most exclusive neighborhoods in Los Angeles. This investment opportunity is located at the end of Granito Drive in the prestigious Hollywood Hills community of Los Angeles, California, home to Hollywood celebrities, professional athletes and Fortune 500 CEOs. This past week the House Subcommittee on Digital Commerce and Consumer Protection, part of the Energy and Commerce Committee, held a hearing on Fintech innovation as part of their disruptors series. London-based fintech companies attracted more than three times as much capital in the first quarter as Berlin – Europe’s second largest fintech investment hub – and maintained its market share despite moves by other cities in the region to gain from the UK’s departure from the EU. New research from data provider FinTech Global found six cities that stand out in Europe’s fintech arms race, with companies based in London, Berlin, Stockholm, Paris, Barcelona and Amsterdam raising $823m in the first three months of 2017. Overall European investment stood at $1.2bn, with London claiming a 36% share at $421m — more than treble the $140m investment in Berlin-based companies, according to the research. Over the previous three years, London accounted for 39% of European investment, suggesting that the impact of last year’s Brexit vote has been slight. With the UK in the early stages of Brexit and now facing a General Election, new research conducted by RateSetter Business Finance reveals how credit conditions look to be tightening again, with over 400,000 small businesses now interested in finding an alternative to the banks for a loan. When asked, 32 per cent of SMEs that had considered raising finance said that it was now harder than six months ago. As banks are progressively closing their branches and cutting back on front-line staff, businesses now need to go elsewhere to benefit from face-to-face contact before borrowing money. With over a third of small businesses preferring to seek advice in person, the move to online-only offerings and the closure of physical branches is a concern. Hive claims it will be the first crypto currency invoice financing platform for SMEs, with its ICO opening in 4 days and closing at the end of July. From what I can gather – and I’d say you’re best to verify this yourself – Hive tokens give holders the right to participate in the network and generate a return by funding invoices. The carrot for small business owners is the speed of execution of the financing element. This announcement is made by Credit China FinTech Holdings Limited (“Company”) on a voluntary basis. Reference is made to the announcement of the Company dated 26 April 2017 in relation to the Investment in Singapore Life (the “Announcement”). Unless otherwise defined, the capitalised terms used herein shall have the same meaning as those defined in the Announcement. The board of directors of the Company is pleased to announce that Singapore Life has been approved as a fully licensed direct life insurer by the Monetary Authority of Singapore. Singapore Life will also soon offer life insurance solutions to customers through its online platform www.singlife.com and financial advisers. On the other hand, as Grossman points out, ‘since Macron has publicly stated that innovation and disruption is key for France’s growth potential, his intention for closer integration with Europe has been broadly welcomed by the fintech industry.’ Macron seems to be pro-PSD and has invited those affected by Brexit to work in the technology sector in France, all are welcome under En Marche. The French president is also very supportive of SME growth and is interested in helping French Tech. Macron’s initiatives so far are clearly in favour of the development of fintech in France and with billions promised for innovation, the president is returning to supporting this space, as he did with The Family in Paris, as Grossman points out. Prosper is currently lending significantly more than it is being repaid for the first time in roughly a year. In March, the platform posted its first positive monthly net lending figure ($200k) since May of last year. April saw net lending growth to c. $15m. RateSetter has posted back-to-back months of negative net lending in April and May (roughly £-700k and £-4m respectively). There are no other negative net lending months in the platform’s 6-7 year history. Gargantuan sovereign wealth portfolios are increasingly turning to private debt exposure with almost two-fifths of portfolios now actively investing in the asset class due to its potential for stable risk-adjusted returns and portfolio diversification benefit. The report found that 39 per cent of sovereign wealth funds now invest in the asset class, an increase of five percentage points over the past 12 months. The majority of sovereign wealth funds with over $10bn in assets now allocate to the asset class, including two-thirds of those managing $250bn or more, and all of those managing $100-249bn. Libyan Investment Authority is one such investor in private debt that allocates to the asset class as part of its private equity portfolio. The fund targets distressed debt and mezzanine funds in Europe, North America and MENA. Mezzanine investments are the private debt fund type most appealing to sovereign wealth funds, with 70 per cent targeting the strategy over the next 12 month and direct lending is sought by 53 per cent. The Australian Securities and Investment Commission (ASIC) has signed an agreement with the Hong Kong Securities and Futures Commission (SFC) to provide mutual support to fintech businesses from Australia and Hong Kong seeking to operate in each other’s markets. Under the agreement, ASIC and SFC will refer fintech businesses to each other for advice and support via ASIC’s Innovation Hub — aimed at helping fintech businesses navigate Australia’s regulatory framework without compromising investor and financial consumer trust — and its Hong Kong-based equivalent, SFC’s Fintech Contact Point. India based Peer-to-Peer lending website, Faircent, has announced the launch of what it claims to be a first-of-its-kind Portfolio What-if Analysis (PWA) tool on its platform. According to the company the tool will allow lenders to simulate different loan scenarios and understand how multi-loan portfolios in peer-to-peer lending operate through a ‘What-if’ analysis. Using the tool lenders can create a test portfolio and specify the amount they would like to invest, along with the duration, interest rates, and tenure. The Portfolio Simulator will then perform advanced algorithm-based calculations based on the input, generating projected portfolio returns by following a standardized method using the concept of Net Annualized Return (NAR). Rupaiya Exchange received the award for Best Peer-to-Peer Lending Platform in India in The Asian Banker Financial Peer-to-Peer Audit Awards Programme 2017. The awards ceremony was held in conjunction with the prestigious Asian Banker Future of Finance Summit 2017, the foremost annual meeting for decision makers in the financial services industry in the Asia Pacific region, held at the Asian Civilisations Museum, Singapore. The awards evaluation criteria were based on multiple dimensions including financial performance, risk management processes, technology, innovation and strategy. Facilitating simple, fast, and tech-enabled banking services, the emergence of fintech is forcing banks to rethink old business models and delivery mechanisms to adopt a more technology-driven and consumer-centric approach to retail banking. Leading this ‘uberisation’ of financial services is the online P2P (peer-to-peer) lending sector, which is driving disruption in the institutional lending space through its simplified, tech-enabled approach. What this also means is that online P2P lending will play a significant role in driving the Indian economy. The adoption of technology means that loan approvals and disbursals can be facilitated in as little as 24 hours from the request origination, whilst digitised operations and processes allow for minimisation of overhead costs. This translates to greater benefits for all stakeholders; while borrowers pay lower interest rates and processing fees, lenders earn higher margins and returns on their investments. Dubai SME’s financial arm and peer-to-peer lending platform Beehive had signed a memorandum of understanding (MoU) to aid financing for small and medium enterprises (SMEs). The MoU between Beehive and the Mohammad Bin Rashid Fund (MBRF) will make it easier for SME owners in Dubai to obtain loans for development and expansion at competitive rates through the Beehive Group Finance Platform. Under the deal, MBRF would act as a guarantor for credit of up to Dh500,000 on SME financing for a period up to 36 months. LendingArch, a Calgary-based online and point-of-sale lending platform, announced its expansion to Quebec. LendingArch has partnered with medical clinics and home improvement contractors in Quebec to offer POS financing options, enabling LendingArch to become a fourth in-store payment method by applying online to finance products or services for up to 36 months.